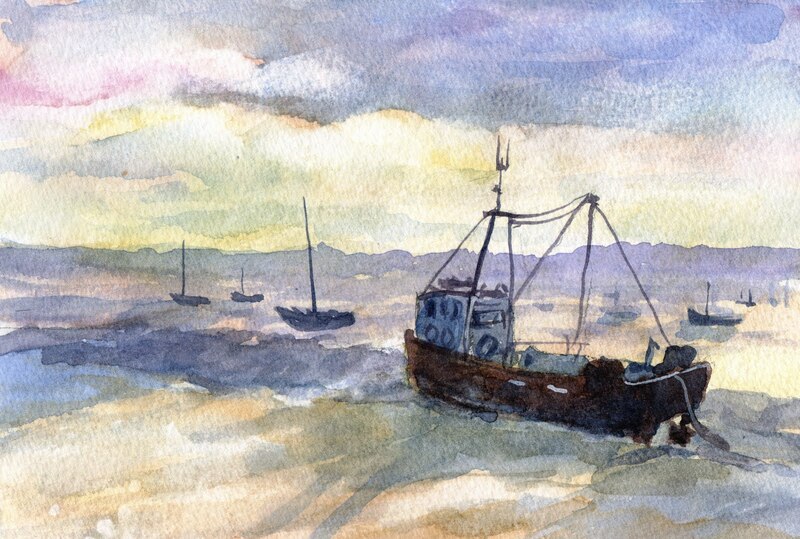 I enjoyed painting this watercolor, a view of a fishing boat at Leigh on Sea. 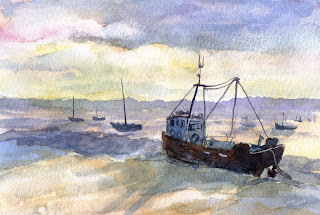 I tried to capture the effect of light streaming across from the right/front of the scene. The complementary colors yellow and Mauve form the basis of the color scheme.